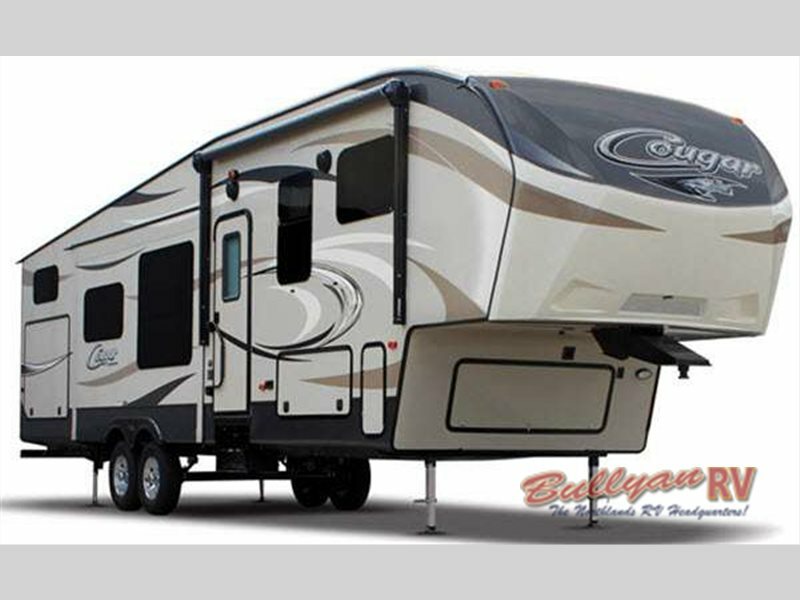 Keystone Cougar has long been a trusted name in fifth wheels. In fact, for thirteen straight years RV buyers have made Cougar #1 in its class. There’s a very good reason for this. Cougar offers more features, more innovative floorplans and higher quality, all at a competitive price. For RVers looking for class and comfort, the Keystone Cougar Fifth Wheel has everything you could need and much more. For starters, the Cougar offers an exceptional amount of storage. An industry first, the Pass-Thru Storage Plus System is available on all Cougar fifth wheels. Finally, now you have enough room to bring more than just your essentials with you on your travels. In addition to an impressive amount of interior and exterior storage, all Cougars also come equipped with a rear slide-out bike/storage rack. The Keystone Cougar has been known for their innovations in floorplan design. One new model that deserves special recognition this year is the 326RDS. This rear entertainment layout allows for a huge amount of easy access, basement pass-thru storage. 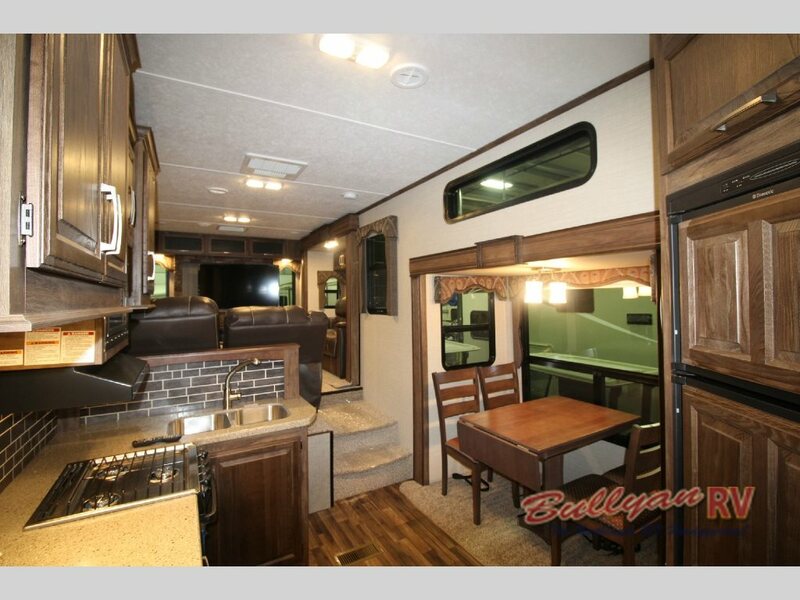 The layout feels almost like a front living design except the raised floor is in the rear of the RV. This comfortable seating arrangement centers around an electric fireplace which will keep you warm and cozy and also saves on propane. A generous amount of windows surround the living area to offer a light filled, panoramic view of the scenery outside. 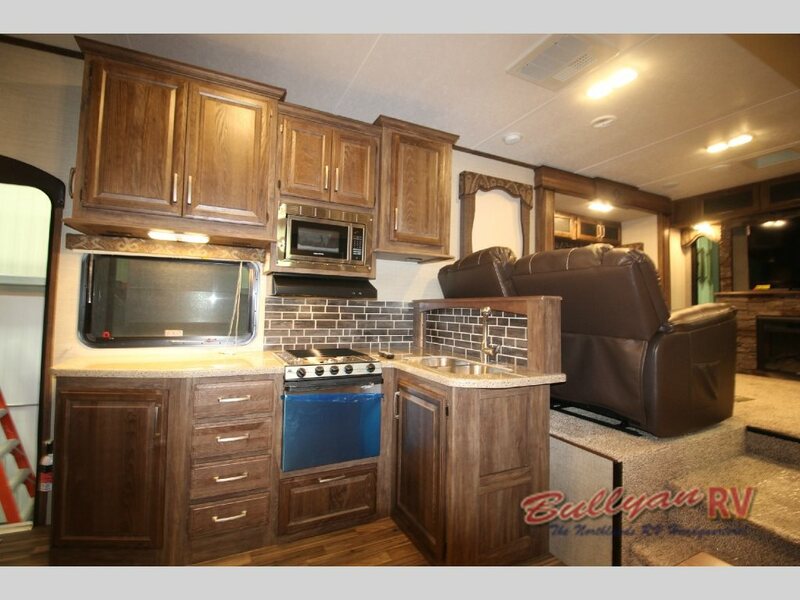 The Cougar kitchen aims to please, Solid surface countertops, stainless steel appliances and a kitchen island (depending on the model) are just a few of the upscale amenities you can expect to find in this luxurious fifth wheel. At the end of an exciting day of sightseeing and adventure, you can look forward to a restful night’s sleep in the Cougar’s Platinum Series Orthopedic Sleep System Mattress. We spend a third of our time sleeping. It’s important to be completely relaxed while recharging at night. 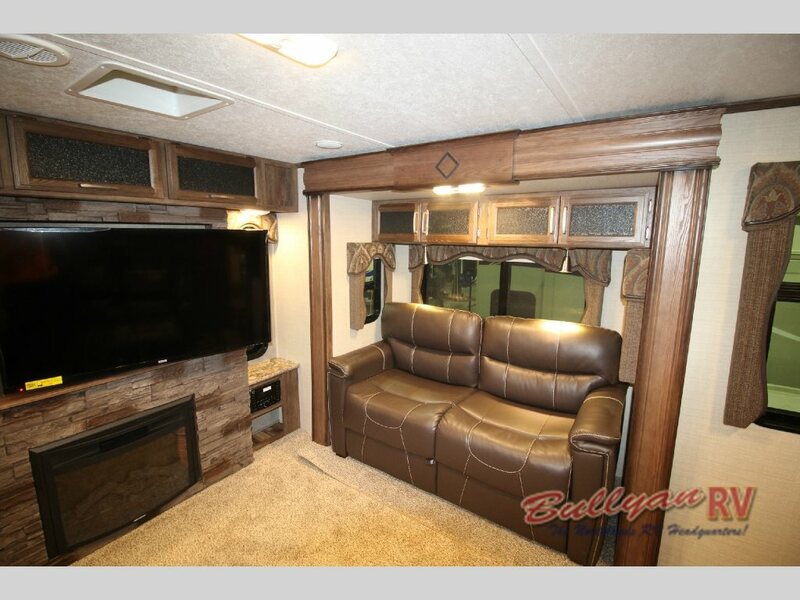 Whether you’re searching for a bunkhouse fifth wheel with room for the kids, or an upscale couples coach, there is a Keystone Cougar just for you. 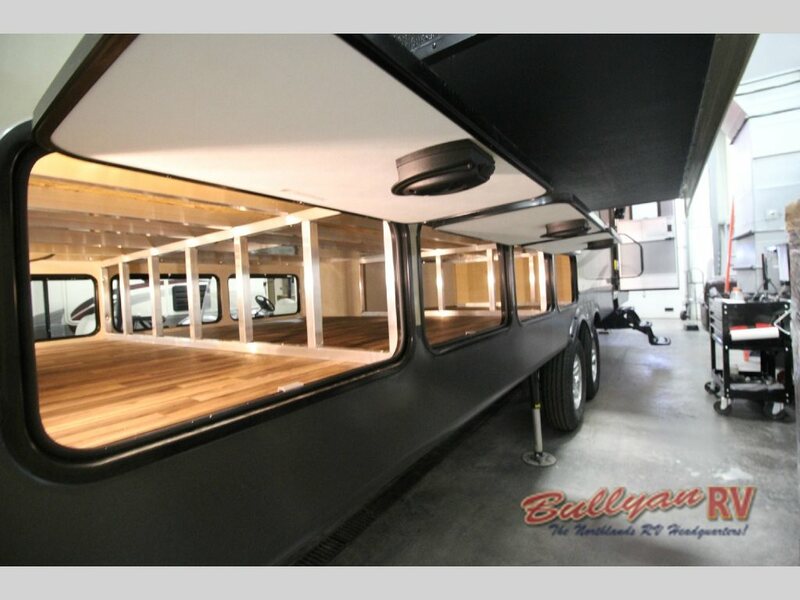 Contact Us at Bullyan RV or visit us at Our Location, and our RV specialists will help you find just the right RV to suit your travel needs.